Robert Haden Abercrombie was born on 11 September 1837 in Alabama. Milo Bolling Abercrombie and Sarah Lee Haden appeared in the US federal census of 1 June 1850 in Macon County, Alabama. Other members of the household included Robert Haden Abercrombie, Leonard Anderson Abercrombie, Milo Bolling Abercrombie, John Comer Abercrombie, George A. Abercrombie, Sarah Comer Abercrombie, Annie B. Abercrombie and Charles A. Abercrombie. He married Fannie R. Gary, daughter of F. E. (? ), circa 1859. Robert Haden Abercrombie and Fannie R. Gary appeared in the US federal census of 1 June 1860 in Tuskegee, Macon County, Alabama. He was an attorney-at-law, according to the 1860 census. 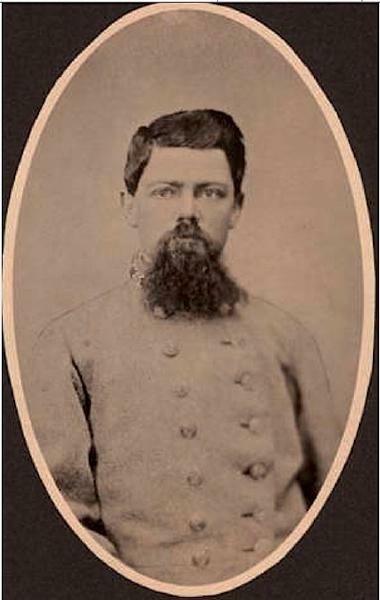 He served as a colonel, 45th Alabama Infantry, CSA. He was a lawyer, according to the 1870 census. Robert Haden Abercrombie died on 8 June 1891 at age 53 in Gadsden, Etowah County, Alabama. He was interred at Tuskegee City Cemetery, Tuskegee, Macon County, Alabama.